The Friday Luxe and the Friday Night Bargain/Sale Alert posts are on hiatus for a week - this week is all about the shoes we want to own and the dresses we want to pair them with. 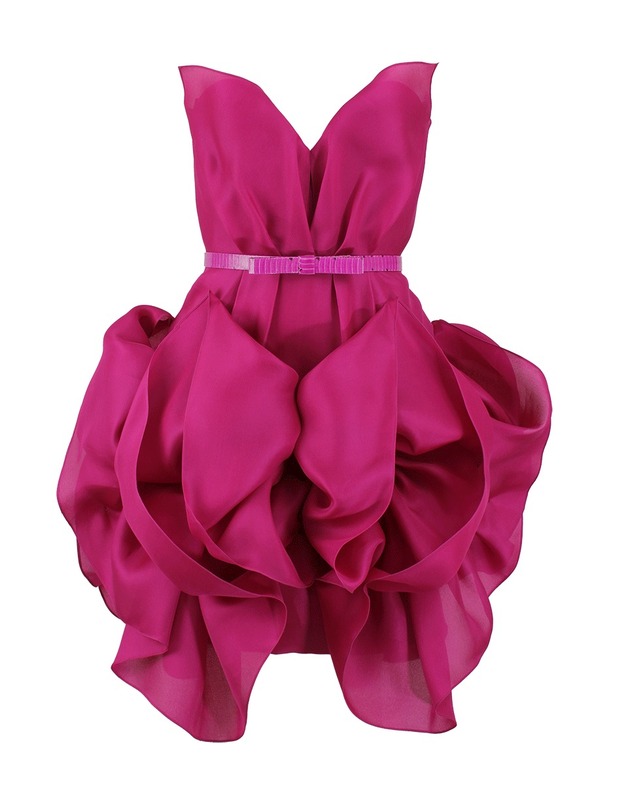 How have you found Dress Week on Shoeniverse? Do you have any ideas for other theme weeks for the future? The penultimate post of this inaugural Dress Week comes from Prada with these understated yet very stylish high heeled dark grey sandals. Oh HOW I adore them! So beautiful. But what to wear with them? They would look fantastic offset against white or with any shade of grey of course, but I thought I would take inspiration from the green gemstones and pair them with a splash of colour. Such an incredible dress. The entire look comes together blending two such simple pieces but they have real wow factor impact together. These beautiful high heeled sandals were not originally supposed to be a part of the Dress Week posts here on Shoeniverse. However, upon reflection I felt the need to squeeze them in. I know it's a little teeny bit self indulgent (sorry!) but you must admit they are rather pretty! Just look at the heels on these babies. They are nothing short of magnificent. But to style them? Hmm my pick would be... some serious silver couture from Balmain. The dress and shoes individually both leave me speechless. Paired together they make for an unbelievably beautiful combination. Of course we can't go the entire Dress Week here at Shoeniverse without addressing the ultimate wardrobe classic, the LBD or little black dress. And so to kick this post off in style we need the perfect pair of black pumps - so enter last week's TFL Bianca, but this time in a gloss black finish. 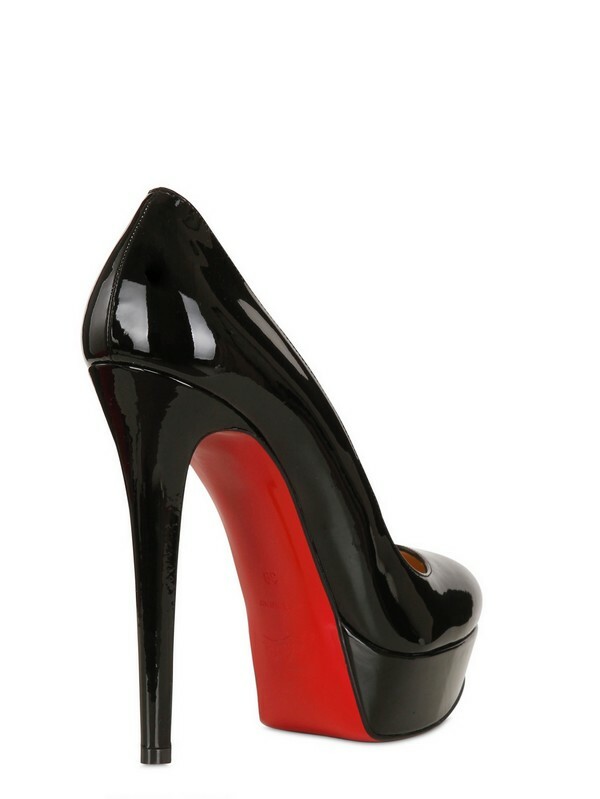 Seriously, is there a sexier black pump than this? I have serious doubts. 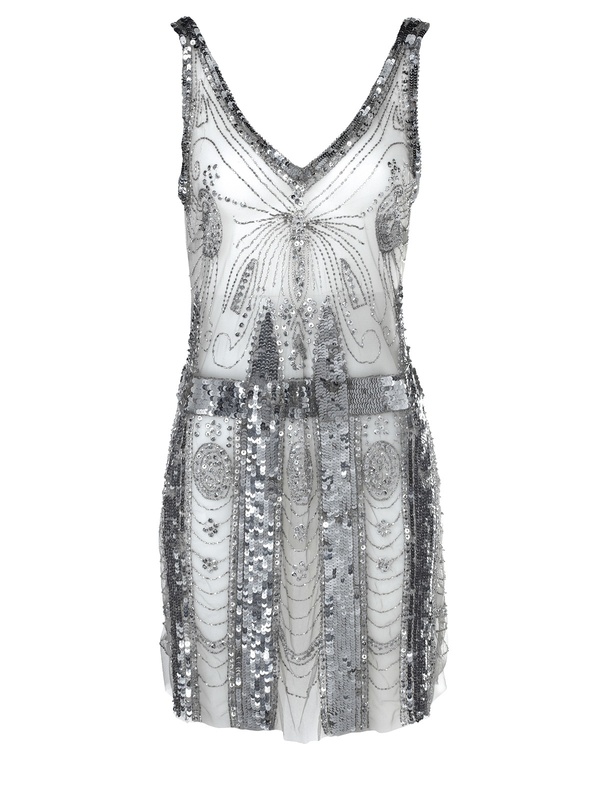 For such an incredible shoe of course you need an incredible dress... we are channelling true Hollywood Glam here. Think Angelina at the Oscars. I am rendered speechless by the mere thought of wearing an outfit like this. THIS. IS. PERFECTION. 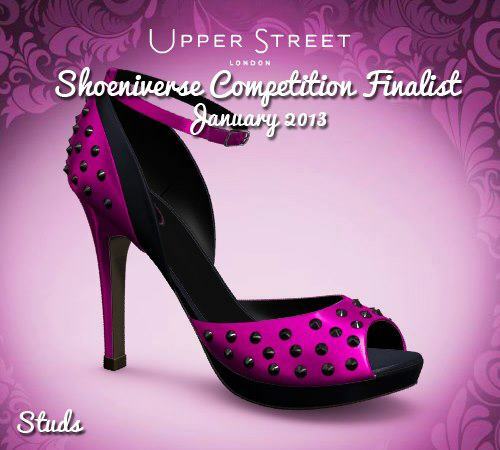 The Upper Street and Shoeniverse Competition Winner - see the shoes! 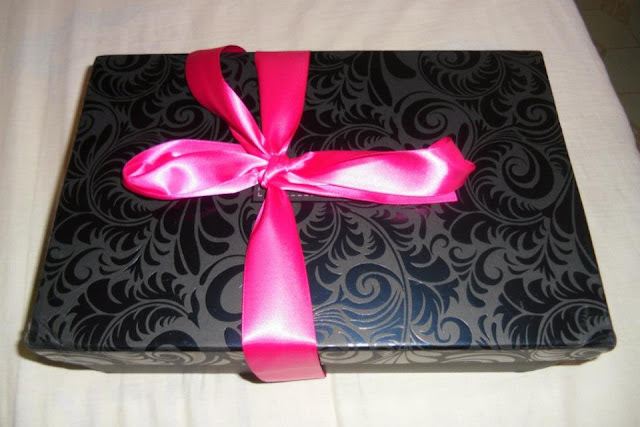 As you may remember we ran back in January a fantastic competition to offer one lucky winner the chance to design their dream shoes and then have them custom made just to fit them! Naturally we had many entries and after whittling it down to a set of finalists, voting was laid open on Facebook to determine the winner via number of likes. 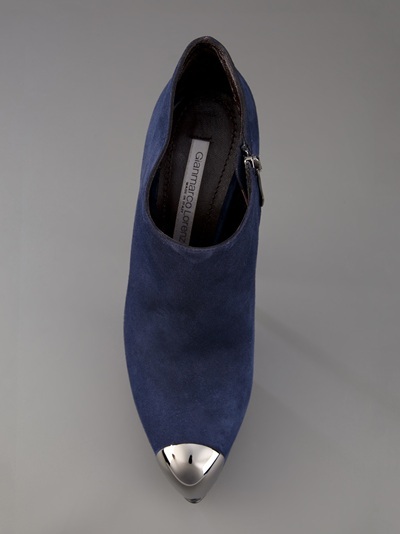 Each design is custom made including choosing from various width fittings and ensuring that everything about the shoes was perfect when they arrived. It takes a number of weeks - and I know that the wait was agonising! - but this week Donna finally got to meet her competition winning design in person for the very first time. You can read all about this and see all of the pictures right here. Congratulations Donna and many thanks to the wonderful ladies at Upper Street too! It's now the end of day three on Dress Week and we haven't yet had a bona fide evening look. That is until now. These shoes are never for daytime, walking, picnics or work. They are for dining, reclining on a chaise longue and looking pretty. They need a dress that can handle their sassiness. Enter Roberto Cavalli. These two together would create look utterly beautiful! I haven't forgotten about flats this week, I just find them so much harder to style than heels, especially with dresses! 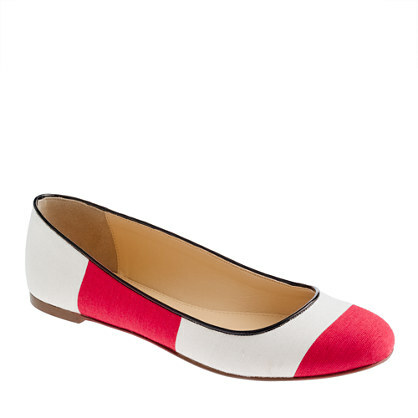 However, these wide stripe J.Crew flats are certainly worthy of a mention, and being part of the Dress Week posts! 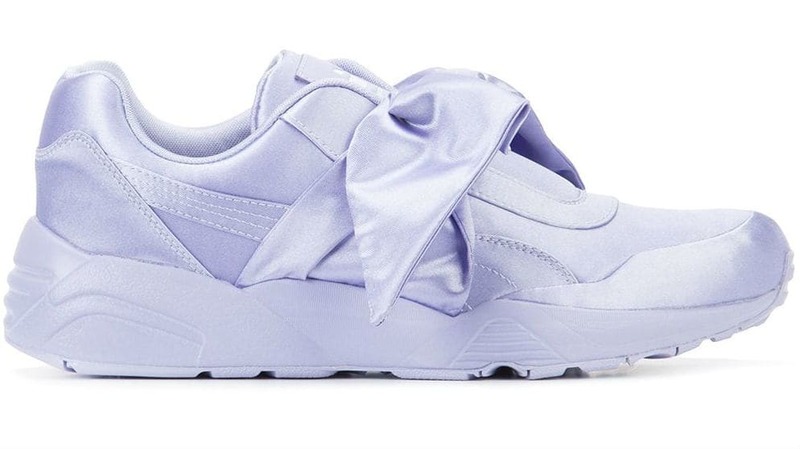 Hmm, but how to style these? 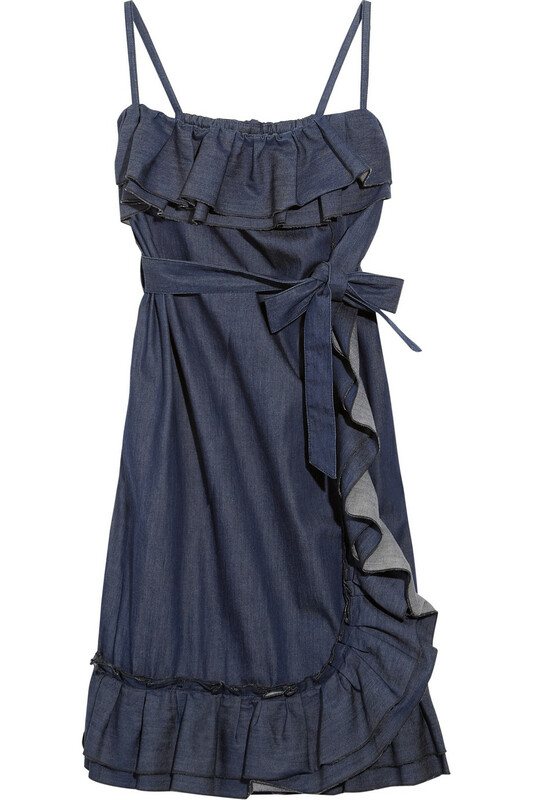 I think denim is the way to go but a shirt dress is a tad obvious, so instead I found this little beauty from Valentino. Same look but infinitely prettier! I would actually wear this, which personally is a revelation as flats and dresses are genarally a bit of a no-no for me. What do you think? Cute or not? 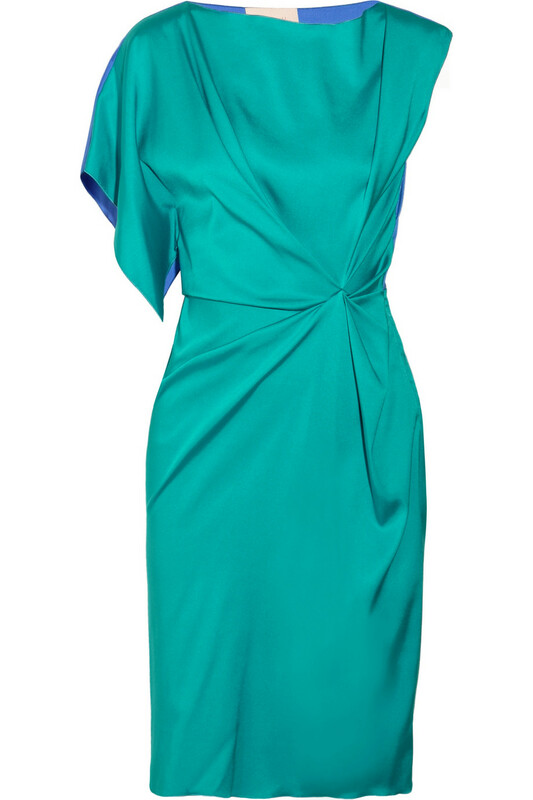 We are now at the midway point of Dress Week, and time to add some turquoise into the mix. Miu Miu are not one of my top five designers as a whole, as sometimes the designs can be too square heeled and retro for my personal tastes. 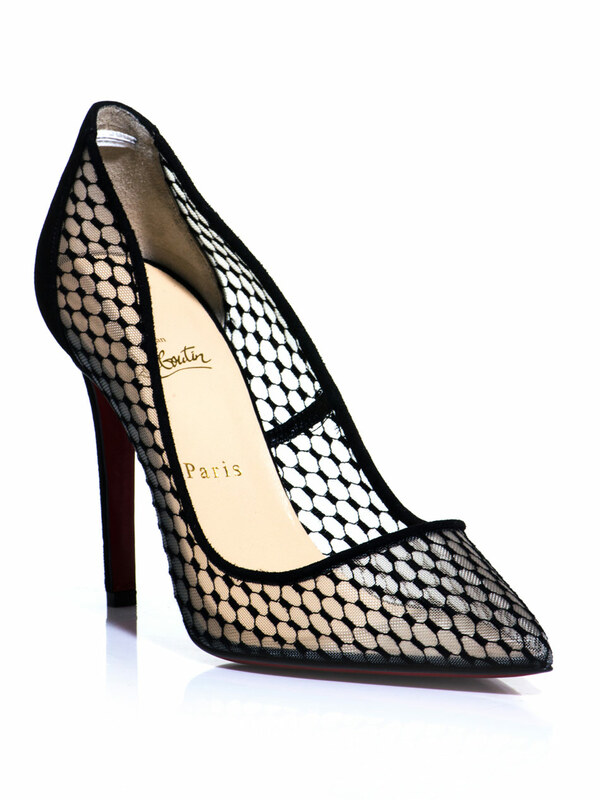 However, sometimes a thicker heel is utterly appropriate, such as with these stunning cross front shoes. I also love the thick cuff ankle strap, and the colour is simply devine. Now that is an outfit that you can wear just about anywhere and it will never be anything short of classic. 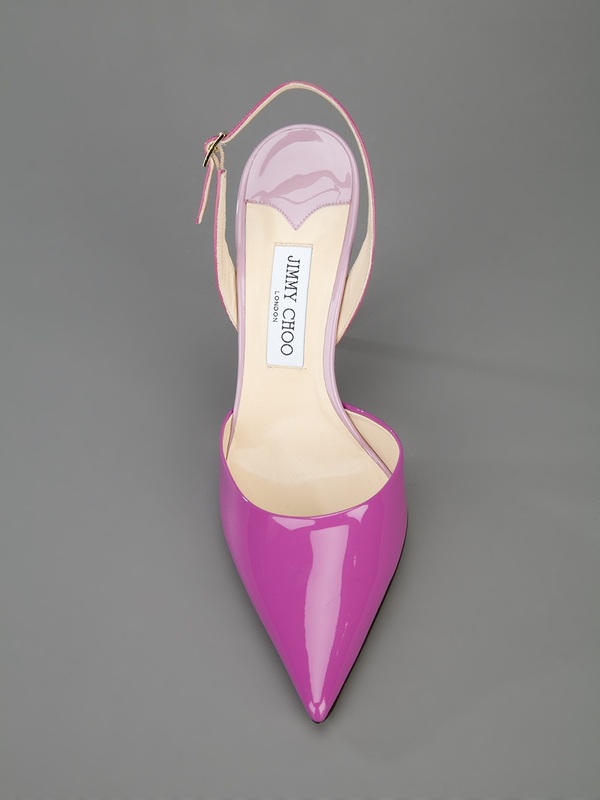 If you are new to Shoeniverse then you may with to go ahead and search the archive for Giuseppe Zanotti's Sharon pumps. We have seen them in just about every colour and finish possible, and then just when you think they have finally been retired, I find these when trawling for styles for Shoeniverse's Dress Week. It would be rude not to, really. 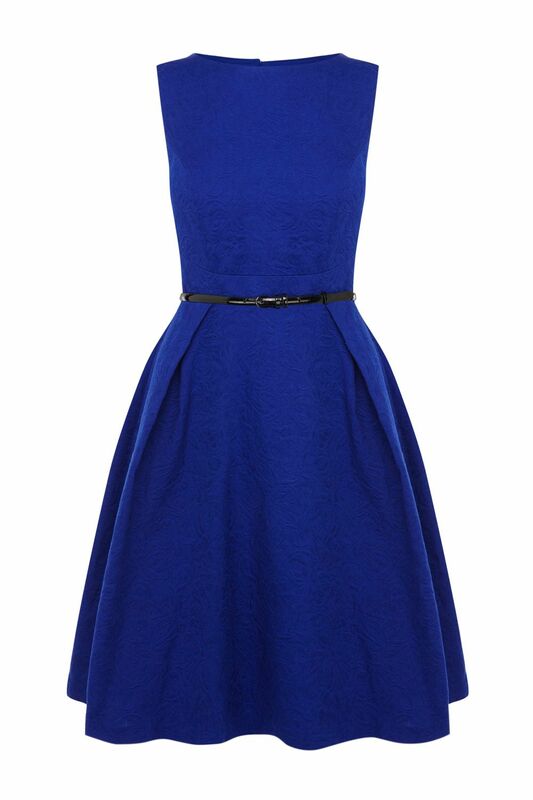 The great thing about this dress is that a change of shoes also changes it immediately from day to evening, making it a fantastic office-to-dinner dress. 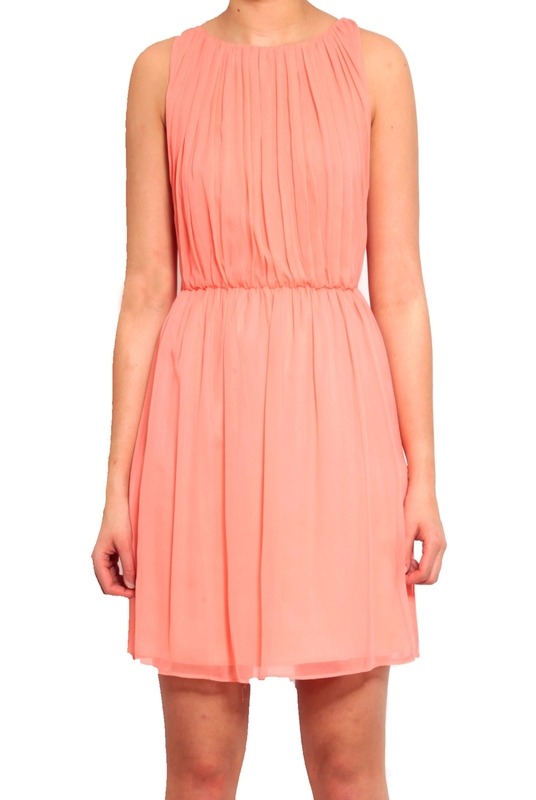 Plus the colour is beautiful (and it's on sale). 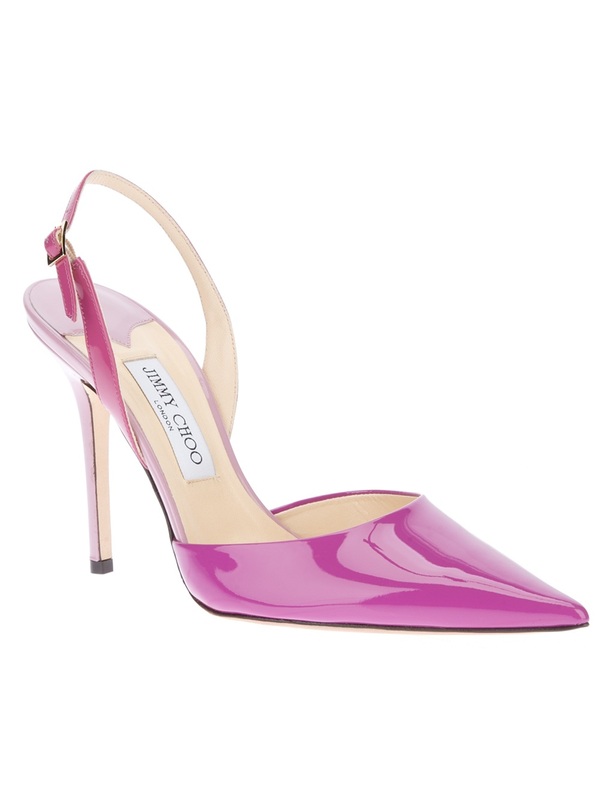 Would you dare to wear these beautiful crystal pumps? I chose these cherry red Le Silla sandals as one of the styles for Dress Week because they are, simply put, one of the best looking pairs of sandals I have seen this season. They come in a sumptuous suede upper, feature a tiny hint of bling with subtle metallic accents, and the cut out detailing is second to none. So many ways to wear them too - my favourite being probably cropped skinny jeans and a simple white shirt. But Shoeniverse is all about the dresses this week, so with that in mind here is my style pick to pair with these pretty little heels. Add a few chunky metallic bangles and a metallic clutch to finish off the look. I am a little bit in love with mixing navy blue and black. I know it's not for everyone, but it's one of those little silently anarchic things that feels rather fantastic, and this was my inspiration for choosing these gorgeous Gianmarco Lorenzi shoe boots. Because these heels are so exquisitely simple and understated it means you can afford to be bold and pair them with something a little more extreme. 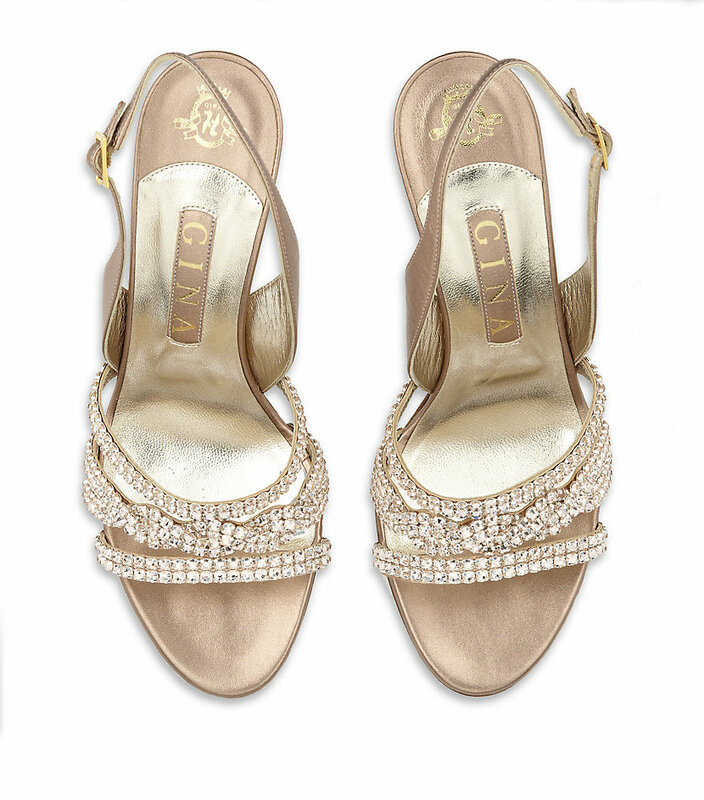 Shoes have a multitude of functions, and sometimes it's not to be the sole star of the show, but rather a shining bauble in an even grander ensemble. Such is the case with these toe cap shoe boots. 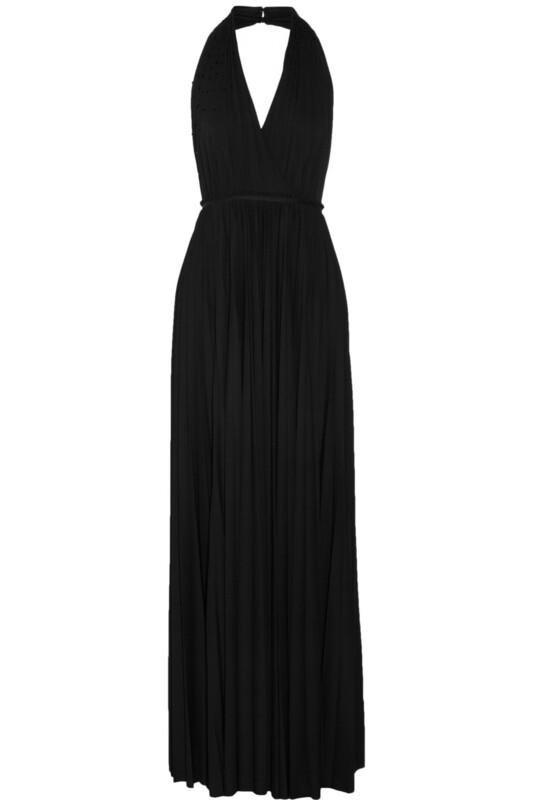 And I know just the dress for them (be warned, it's not subtle). 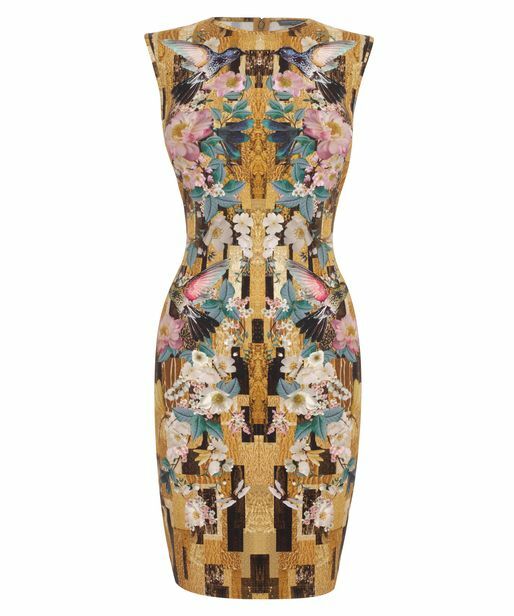 Yes that's right, a stunning D&G prom dress - so OTT and out there! 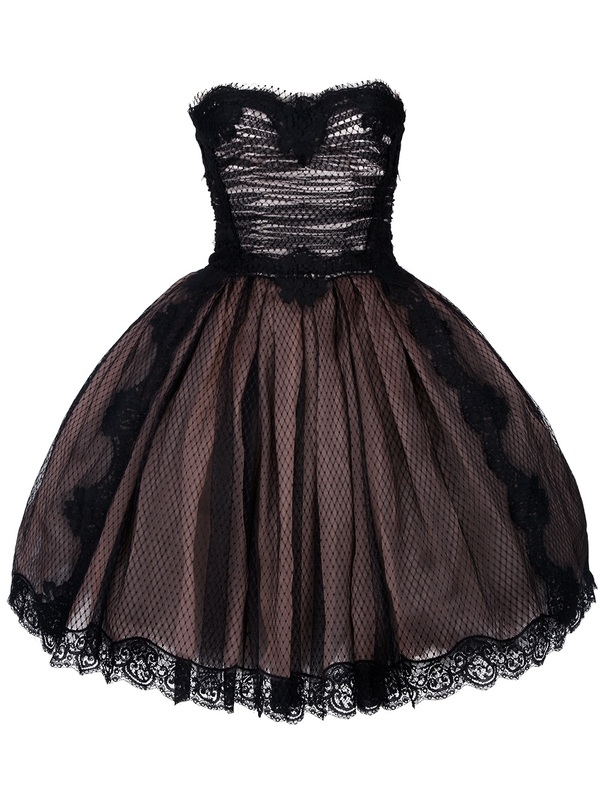 I am in serious lust with this dress. Would you dare to wear these together?